Oh so sweet! 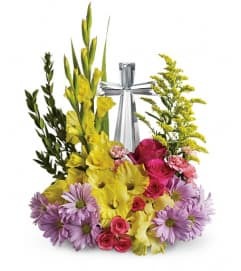 This whimsical bouquet arranged in a too-cute-for-words Cuddle Bunny vase will make everyone smile!Pink spray roses, purple stock, yellow button spray chrysanthemums, lavender waxflower and purple sinuata statice are accented with assorted greenery. 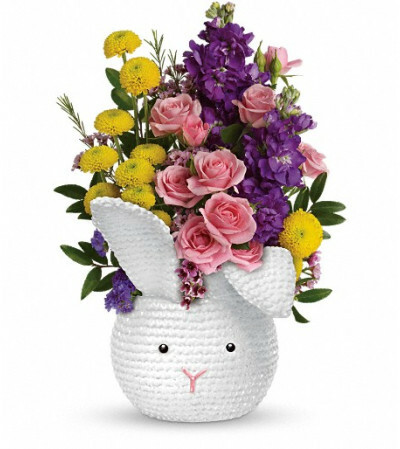 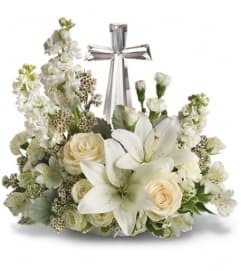 Delivered in a Cuddle Bunny vase.